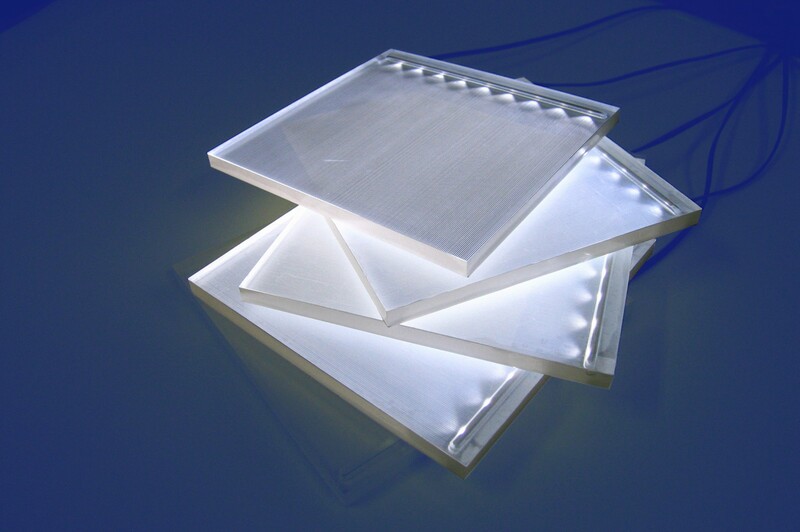 Lenoir Services is the integrator and distributor of the LumiSheet ®, an ultra thin lighting panel with side emitting LED concept. This unique product presents various advantages: quality and consistency of the light (3D engraving), design and implementation ease (no external frame), aluminum cooling technology, low power consumption (up to 70% lower than T5 tubes), tailor-made manufacturing, extra long lifetime (40 000h). Various patents insure the unique performances of the technology.